Current Italian champions Conegliano decided to play it safe with Raphaela Folie‘s injury and announced in its official website the signing of Martina Samadan to fill up her roster spot. 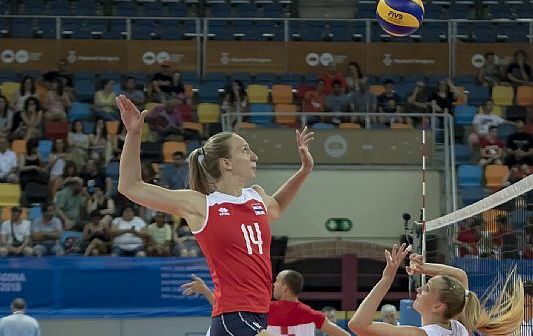 The 25-years-old 6’4″ Croatian national teamer middle blocker, who is transferring out her home-country’s HAOK Mladost Zagreb, is already known to Conegliano’s coach, Daniele Santarelli, as both were present in Croatia’s recent successful run for a berth at the 2019 EuroVolley. Virginia started her NCAA college career with one season at Virginia Commonwealth University, where she set school records in total blocks (172), blocks per set (1.67), and hitting percentage (.349), being named the AVCA Northeast Region Freshman of the Year and Atlantic-10 Rookie of the Year. She then transferred to Seattle University for her last three years of eligibility, finishing her career with 1000+ kills and as a 2x All-Wac First Team Selection.